A new study uses Massachusetts to look at whether there's a correlation between suspicious prescribing behavior and opioid overdose deaths. Opioid overdose deaths in the state quintupled from 2000 to 2016. In a fast-changing epidemic, the study's data, gathered from 2011 to 2015, might be considered a bit old. But it still sheds lights on several important benchmarks of the crisis. The study says that between 2011 and 2015, about half of adults in Massachusetts were prescribed opioids, including pain medications prescribed by dentists and doctors. Dr. Thomas Stopka, the study's lead author, said the widespread use of opioids points to the need for limits on first-time opioid prescriptions — limits that many states, including Massachusetts, have already imposed. "The fact that less are being prescribed means there are less out in the community and less that are being diverted," said Stopka, an assistant professor of public health and community medicine at the Tufts University School of Medicine. Some pain patients say the crackdown on opioid prescriptions has hurt those with a legitimate need for the drugs. They say the real problem is diversion — the bottles of used pain pills left in medicine cabinets — not responsible prescribing. 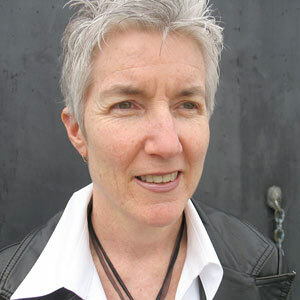 The study takes a close look at appropriate and inappropriate prescribing. It defines the latter using six factors: high doses, prescriptions not linked to a pain diagnosis, prescriptions obtained from multiple prescribers, prescriptions filled at multiple pharmacies, cash payments and the co-prescribing of opioids and benzodiazepines. Here's how these suspicious practices played out across Massachusetts. 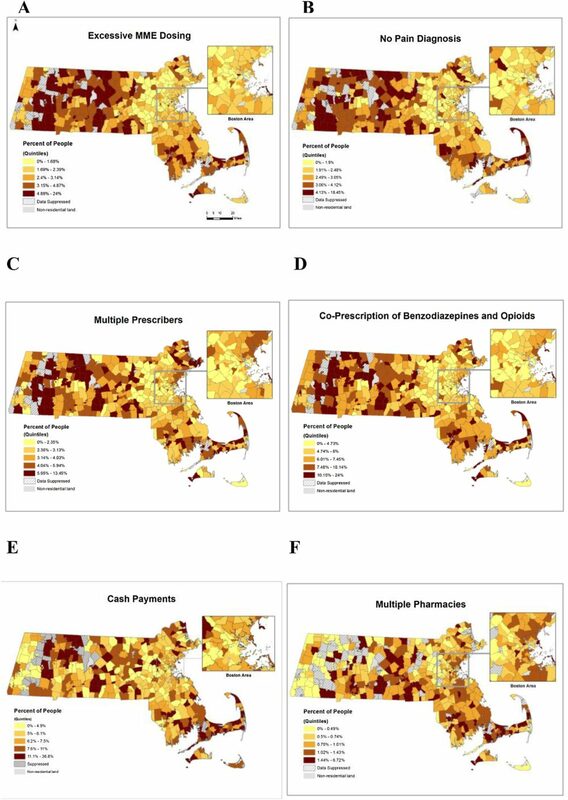 The higher concentration of problems outside Greater Boston is even more pronounced on the maps that use hotspot analysis to identify clusters of inappropriate prescribing in five categories. The study says there were no hotspots for what's sometimes called pharmacy shopping. Stopka said he can't be sure why there were fewer fatal overdoses in some areas of the state, but strong harm-reduction efforts appear to have played a part. Communities that offer clean needles and distribute naloxone had comparatively lower death rates between 2011 and 2015. Researchers also looked for a connection between the high rates of suspicious opioid prescribing and the hotspots where high overdose death rates were reported. They found an overlap on Cape Cod and in Berkshire County but saw "contradictory patterns" in other parts of the state. In short, suspicious prescribing is "only one factor" that explains differences in overdoses and death rates across Massachusetts. Another factor — which was just emerging at the end of this study period in 2015 — is fentanyl. By the end of 2018, this powerful opioid, which can shut down breathing in seconds, was present in 89 percent of deaths. 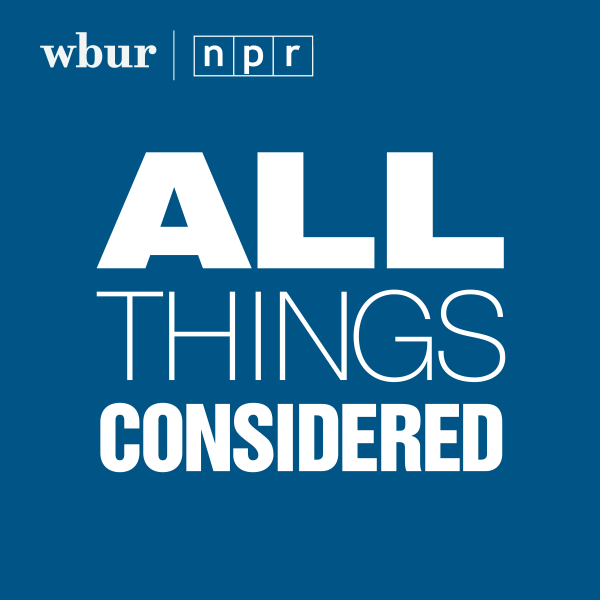 The audio for this story is from an interview with WBUR's Jack Lepiarz.